Welcome to the busy season at the gym. Everyone is now gearing up and getting their bodies ready for the summer. Looking good at the gym usually isn't a standard for most of us, including myself, the comfort of an old shirt worn in shorts/sweatpants/yoga pants, and sneakers are the preferred look. Looking fab at the gym usually equates to not breaking a sweat. Well who's to say that this is true? Looking good at the gym doesn't mean going in all dolled up with make up on this can mean adding a fun top over a sports bra or bring in some season trends into your work out gear like floral prints or bright bold color pieces. These pieces don't have to be expensive but don't skimp out on good sporting sneakers especially if you're a runner. Luckily, brands like Nike and Adidas produce sneakers with style and comfort in mind. PS! 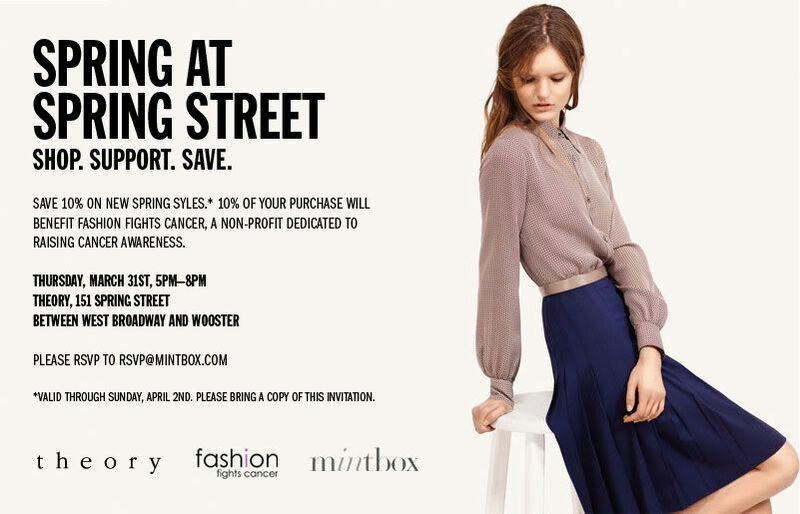 If you live in New York City or in the New York area stop by Theory's SoHo store tomorrow for their charity event to support Fashion Fights Cancer (FFC): there will be cocktails served and shoppers that evening will receive 10% off the entire collection, and 10% off all proceeds generated will go to FFC. great items. i should get me some more attractive workout clothes!